Self-help books abound for those who are looking to improve themselves, either personally or professionally. What these books fail to address, however, is the personalization that most people need to make lasting change. Ron McMillan is one of the authors of the book Change Anything, which introduces a framework to help you achieve any of your goals by: becoming a scientist, studying yourself, identifying crucial moments where you fail, creating vital behaviors, and engaging in six sources of influence. Editor’s Note: The audio and video for Michael Cyger is misaligned until approximately 8:33. Ron McMillian is co-founder of VitalSmarts, a corporate training and organizational performance consulting firm. He previously co-founded the Covey Leadership Center, where he served as vice president of research and development. McMillian is the co-author of the New York Times bestsellers Change Anything, Crucial Conversations, Crucial Confrontations and Influencer. Michael Cyger: Hey everyone. My name is Michael Cyger, and I’m the Founder and Publisher of iSixSigma.com – the largest community of lean and Six Sigma professionals in the world. At iSixSigma.com, we champion the idea that breakthrough process improvement can be accomplished by anyone within an organization. We all have personal and professional goals, from increasing our personal income, career options, and fitness level to quitting smoking, losing weight, or fixing a personal relationship. There are a ton of self-help books out on the market. There are tons of programs. There are systems on the market. They all try to help you achieve your goals. But the problem is that they provide one way to solve a problem, and not everyone succeeds with one single system. Ron McMillan is one of the authors of a new framework that I think can help you achieve any of your goals, regardless of the type of person you are. 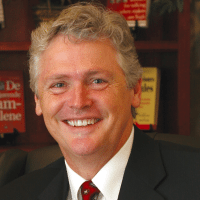 He’s the Co-Founder of VitalSmarts – a corporate training and organizational performance consulting firm. Ron previously Co-Founded the Covey Leadership Center, where he served as Vice President of Research and Development. He’s the Co-Author of the New York Times Best Seller’s “Change Anything”, “Crucial Conversations”, “Crucial Confrontations”, and “Influencer”. And he’s the Co-Author of this book, “Change Anything”. The new science of personal success. Ron, welcome to the show. Ron McMillan: Well, thank you, Mike, for having me. Michael: Ron, I’ve read the book. As a Scientist, I love how you have the Change Anything Labs; where you conduct experiments and pour over hundred of research studies. I also love how the book is full of examples that actually use tactics that my audience can use. Not just great ideas that don’t help us when we’re at the lowest levels trying to change the way we behave or accomplish goals that just seem a bit out of our reach. How was it at the Change Anything Labs putting together the research that went into this book? Ron: It was so exciting. We had such a good time. We made use of a lot of college interns and we studied over sixteen thousand articles on human behavior change. They were in Refereed Journals, major research efforts; and then having compiled that, we began looking for common sources, or common methodologies, of change. What does it take to change? We then added to that a study of five thousand people who were trying to make significant life change. This were things like overcoming a heroin addiction, losing a hundred pounds, overcoming anger issues in the workplace; significant life changes. Of these five thousand, roughly about forty-five hundred failed. Ron: Five hundred succeeded. And we defined success as not only had they achieved this major life change, but sustained it for three years. And we, of course, then compared the two populations and said, ‘What’s the difference?’ And all of that research led to Change Anything. Michael: Excellent. Alright. So let’s give the audience an example and a little more depth about what’s possible to overcome, get past, or get unstuck – one of the words you use within the book. Let’s start with an example that you used in the beginning of the book. The example that illustrates that willpower is not the problem to accomplish goals that seem just out of our reach. Can you describe the marshmallow experiment? Ron: Yeah. The marshmallow experiment was actually a replication of an experiment conducted almost thirty years ago, by Walter Michelle, at Stanford. And the experiment is real simple. You bring four five year olds into a room. It’s just them and the researcher. The researcher gives them a marshmallow and said, ‘You can eat this any time you want’. But I’m going to go out for a few minutes. When I come back, if it’s still there, I’ll give you two and you’ll have two to eat. And then the researcher leaves for a fifteen minutes. And, of course, we’re watching the kids on video to see what they do. And Walter Michelle found that about twenty percent of the kids were able to delay gratification and get two marshmallows. Michael: Only twenty percent? One out of five. Michael: So four of them downed that marshmallow within fifteen minutes. Ron: Some of them did it right away. Others would sniff it, and then they would lick it, and over the fifteen minutes nibble little pieces; but till it was gone. Well, what was really interesting about this is Michelle then followed the two percenters for ten years. To see what had happened to them. And he found that they had significantly higher scores in IQ; in school mastery. He then conducted another five-year study and found out that these people were promoted more often, got the best jobs, and had greater success or happiness in marriage and relationships. Well, come along Albert Bandura of Stanford that said that is such an interesting study that delaying gratification has such an impact on future success, and it can be predicted from a four year old on. But he began wondering, ‘Is will a skill?’ Is willpower something that people just have – it’s a character trait – or is it something they could acquire? And he took kids, and he took just five minutes to teach them a little skill. If you want to wait and not eat the marshmallow right now and get two, then here’s some things you can do. And he taught them just some basic tactics that’s called shift attention. And it increased the numbers who were able to delay by fifty percent. So what we did is we just replicated that study and said, ‘Lets get some video on this. Let’s see if kids today are like kids back then’. And we found exactly the same results. Michael: Alright. And so, for the statisticians in Lean Six Sigma, they’re going to look at this and say causation or correlation. Is there a direct relationship between the kids who could delay their satisfaction and the success that they achieved later on in life? Or it is just correlated but there’s no actual causation? Do you have any information on that Ron? Ron: Yeah. It’s a great question. And we would say that when you acquire a skill like the ability to shift attention. It’s been demonstrated, with the addicts, with OCD, that if you fill this urge if you have this temptation and can shift your attention away from it for fifteen minutes, the power of the urge greatly diminishes and gives your greater ability to then choose your action rather than respond or react to the urge. And the thing is that’s a life skill that can be applied to doing your homework when you feel like playing. It can be applied to focusing when you’re distracted. And so, the question of who initially possesses that ability or not and is that causal or correlational success becomes almost irrelevant when you can demonstrate that the acquisition of this skill and its application dramatically improves those results. So having the skill and the ability, whether it’s conscious or not, creates that success. Michael: I love that Ron. In business, when things fail, people get blamed. But in Six Sigma, we teach that people aren’t the problem. That it’s actually the process. So similarly, people always seem to blame themselves. They blame their character. They blame their willpower when they fail at something. But what you’re saying in this book is that character is not usually the root cause. It’s something else, right? Ron: Yes. In fact, when we compared the forty-five hundred who failed with the major life change versus the five hundred who succeeded, we found that one of the big differences is something that we call the Willpower Trap. And it’s basically the idea that the key to me making personal change is summoning up willpower. Gutting it out. Being strong. And a funny metaphor that is obvious to all of us is: if you get a weightlifter who’s got huge muscles and I stand next to him. And you give us both a barbell. Say hold it out shoulder height and don’t drop it no matter what. Well, we know it’s a matter of time that, number one, I’m going to drop it. Like, how long can I hold it? Two minutes. Number two, the weightlifter with all the muscle is going to beat me and hold it longer, but the inevitability is gravity wins. Gravity even wins over the strong weightlifter. And that’s like willpower. If we’re trying to resist a really tough problem, and we gut it out, and we gut it out. Let’s say we’re trying to quit smoking. And it gut it out for two days, and then, we succumb and we light up. The next thing that happens is we tell ourselves a story about our failure. We say, ‘I am so weak’. ‘I can’t do this.’ ‘I’m flawed.’ And whether it’s smoking, or eating, or heroin, then we give up on ourselves and we binge and say, ‘What the heck’. And so, we go on this wild binge and then it just convinces us we’ll never be able to change. We call that the Willpower Trap. It’s the false assumption that willpower is the key to making change. We found, just as you said with systems, that it’s not willpower that makes us succeed or change. It’s the way six sources of influence impact us to change or not change. Michael: Okay. That makes sense. And we’re going to talk about those six sources of influence, which are the crux of the book. Also, in the book, you use phrases like, ‘We’re blind’ and ‘If you can see it, you can change it’. As that sets the context for the book, what do those phrases mean Ron? Ron: Well, at any given time, we’ve identified six sources of influence that influence us to do or not do something. And, for most people, they’re blind to these sources of influence. They’re not even aware they’re in operation in their life. As a result, they’re blind to these six sources of influence and they use willpower to try and change when they’re totally outnumbered. It’s one person against these six powerful sources of influence. We’re doomed to fail. Because we’re blind to the impact these sources of influence have on us, and we’re outnumbered six to one. We found the key to making change is to understand these six sources of influence and manipulate them so they’re working for the change rather than working against you making the change. Michael: So just like in life, if you have a problem there may be – you know the phrase – more than one way to skin a cat. You can actually solve that problem multiple ways. What you’re saying is that there are multiple influences on us that are affecting us doing something that we don’t want to do. And by understanding these six influences and having tactics for not doing that action that you don’t want to take, you can succeed more often than not. Michael: Perfect. Okay. And you actually cite a study that if you use all of the tactics that affect these six sources of influence that you’re not just marginally more effective, you’re exponentially more effective. Is that correct? Ron: Absolutely correct. And it’s sustainable. The average person who tries to quit smoking relapses five times. And most, on that fifth time, give it up. They say, ‘I can’t do it’. People who use the six sources of influence to help them make the change not only don’t relapse or have fewer relapses, but then are able to sustain the change and not relapse again once they finally succeed. Michael: And anybody who does Six Sigma knows that Six Sigma is so powerful because it doesn’t do marginal improvement, it doesn’t do incremental improvement, it’s driving breakthrough improvement. You’re trying to change the entire system, the entire process, of how a business accomplishes something for the customer. And you make it sustainable. You put it in control. And so, that’s why I think this is such a great compliment to Six Sigma. Because you get exponential. If you follow the six sources of influence and you implement the right plan, you can get a ten times improvement, as your study has stated, a thousand time improvement, and you actually change the process so you don’t relapse. So, great way to start off the interview, Ron. But let me ask you this. Change isn’t easy. You stated in the book, and I’m citing some figures that you bring up, marriage counseling only works for fewer than one in five couples, ninety-eight percent of us fail to keep our resolutions to change bad habits, only one in ten dieters who have a history of obesity are able to lose weight and keep it off for one more years; and here’s the one we’re going to talk about a little more during the show. Eighty-five percent of us have bosses who have tried but failed to get us to change to improve our performance. So, what do we need to do Ron? Ron: Well, if you go in the local bookstore, or you go on the Internet, and identify “your problem” – it’s you want to lose weight -, there are a hundred books written on how to lose weight. Then you go on another shelf and there’s fifty books written on how to deal with your anger in relationships. And then you go to another shelf and there are thirty books on how to overcome your alcoholism. What we found – and here’s the big, big thing -, and you mentioned it when you said this is a process, it’s a methodology, is those are not five different problems. They’re all the same problem. It’s, ‘How do I get myself to change?’ Once you understand the process of changing yourself, not only do you solve the big problem that’s holding you back from the results you really care about, then you can then train it on any problem in your life. And so, when you talk about breakthrough, the breakthrough results in a problem I’ve never been able to overcome is phenomenal, but then the fact that I can train that methodology on any problem in my life that I want to solve; that’s an amazing, amazing exponential breakthrough. Michael: So, instead of going out and reading twenty books on how to advance my career, or twenty books on dieting, I know I need to lose weight; what I need to do is start by studying myself and how I interact with my diet? Is that what you’re saying? Ron: Yeah. In fact, one of the principles we’ve identified is be the subject and the scientist. You’re the subject and the scientist. What we mean by that is there’s been all this study done on weight loss, but no one has studied you. How do you lose weight? And so, you’ve got to conduct that study. As a scientist, you can stand outside yourself and objectively observe yourself. In fact, most of us do this, but we don’t do it systematically. Have you every asked yourself, ‘Why did I do that?’ Why did I say that? Well, that’s you being the scientist examining yourself as the subject and trying to objectively understand why you do what you do. Right? So, as you try and make major change, though a lot of people have studied weight loss, you need to conduct a study on you. You need to say, ‘Why do I have problems losing weight?’ And begin studying, ‘When do I eat? When do I not?’ When am I strong and I succeed, and when do I fall off the wagon? And to begin to understand how you do things and why you do what you do helps you then to develop strategies that are specific to you. And so, be the scientist and the subject. We had a situation the other day in our office here. An e-mail went around to all the employees saying, ‘Someone left their keys in the downstairs refrigerator. If they’re yours, I’ve got them. Come get me’. And then people started replying saying, ‘Wow, that’s interesting. Does that keep keys longer so they don’t mildew?’ Put them in the fridge. How clever! Other said, ‘I lost my keys in the toilet once, but never the fridge’. And people were really having a fun time with this, and finally, Emily; she sends an e-mail. Says, ‘They’re mine’. She said, ‘I keep forgetting to take my leftovers home. So I put my keys on the leftovers so I can’t drive off without getting my keys, which reminds me to take the leftovers’. She knew something about herself. Rather than going to a retreat for six months to overcome her forgetfulness, she just said, ‘Why don’t I trick myself? I know I’m going to forget them. But if I put my car keys on them, I can’t drive away without them’. And so, having studied herself, and knowing her propensity to leave her leftovers, she devised a tactic to trick herself having known her tendency to succeed in something she really care about. And so, being the scientist and the subject, as you study yourself, you begin to realize, ‘I don’t need willpower to diet twenty-four hours a day. I just need to identify the three crucial moments when I’m most likely to fail. And devise a plan to address those three crucial moments. There are only three times a day that I’m likely to fail because of my habits. If I can modify those crucial moments and choose a vital behavior, I can succeed’. And so, that’s the idea of that principle. Michael: That’s fantastic. And actually, Emily was practicing a tool that we teach in Six Sigma called Poka Yoke, which is the Japanese term for mistake proofing. And I do the same thing. Every time I come home, on the side in the entryway, I put my wallet, my keys and my sunglasses. Always in the same place. Always right next to each other. And I know I can’t forget any of them when I go to get in the car because I need my keys in order to drive the car. So, perfect example of a tactic. I wouldn’t even go as far as to say tricking. Because it sounds like it’s a game or something that may not work. I understand where you’re coming from, but it’s a tactic that works. It’s proven. It works in business. It works in your personal life. And it only fails when my wife takes my wallet because she wants some cash for something and then she puts it in a different place. And she does this over and over again. She messes up my mistake proofing system. Ron: And, Mike, one thing I’d add about being the scientist and the subject is your tactic might not work for someone else because they have different habits. Michael: And that’s why I find this book that you and your co-authors have written so intriguing. Because it’s not a one size fits all, read my dieting book. Or one size fits all, read my professional management book. It is understanding ourselves. Identifying the crucial moments where we fail at doing something we want to do. Studying ourselves, as you say. Creating vital behaviors. What we’re going to do to change the way we engage with others or engage with ourselves. And then do that by identifying the six sources of influence. So let’s talk about those six sources of influences that you’ve identified in this book. Ron: Great. Let me emphasize something you just said, and then I’ll explain the six sources. What we found is, if you can identify the crucial moments when you’re likely to succeed or fail and the vital behavior; that if you engage that crucial moment will guarantee your success. One woman – and I’ll use this example later in talking about the six sources and that might help -; but her doctor said she had to quit smoking. And she got really serious about it. At work it’s a non-smoking environment, so there’s never really a problem when she is at her desk. Her crucial moment was at break time. She would go outside, under the tree, in the shade, with all of her friends. And that’s called the Smoking Tree. And they would all smoke there, and catch up on things, and then go back to work. So if she was going to quit smoking, she doesn’t have to worry about the three hours at her desk in the morning. She has to worry about the smoking tree and the break. Now, she needed to identify what behaviors do I need to engage in in order to master that crucial moment? For her, it was talking to her friends. Say, ‘Hey, I got to quit smoking. Doctor says it’s important. Will you help me?’ They go, ‘Yeah, we’ll help you. What do you want us to do?’ ‘Number one, never offer me a cigarette. Number two, if I ask for one, say no.’ They said, ‘Sure. We’ll help you’. And all she had to worry about is breaks and lunch when she’s with her friends. And now she’s getting them to help her succeed. That’s mastering the crucial moment with the vital behavior that’s going to make the change. So, with the six sources of influence, we say, ‘How can I influence myself in those crucial moments to do the vital behavior?’ And that’s what it takes to change. Michael: Alright. Well, that sounds pretty easy enough. Let’s go over the six sources of influence at a high level. And then we’ll maybe take a look at a work example and apply them, Ron. Michael: The first source of influence is what? Ron: Love what you hate. You’ve got to learn to love what you hate. Now, if we go into the science, this is called personal motivation. You got to create a personal motivation to make the change. That means you’ve got to decide you want to do it. There are many tactics to do this. Two that are really powerful to learn to love what you hate. Number one is to visit your default future. Most of us engaging in a bad habit affects our health, or affects our relationships, or affects our career. We have an infinite capability to push off the long-term consequences of this behavior and not think about it. Visit your default future says, ‘No. Think about it’. What will your future be if nothing changes? What’s going to happen to you in two years, five years, ten years? It’s amazing when you get baby boomers, like myself, and you sit down with them and find they have no savings. Zero savings. And they’re fifty-seven years old. What’s going to happen in retirement? They say, ‘I don’t want to think about that. I got bills to pay’. Well, let’s think about it. Let’s go to a retirement home. Let’s interview people. What happens when you’re seventy-two and you have no money? And as people visit the default future, and bring that long-term consequence to the present, that begins a powerful motivation that says, ‘You know, maybe I ought to want to change’. Michael: Do they physically have to go do that, Ron, or can they do it in their head? Like, if I’m overweight, do I need to go visit an Obesity Center? Or if I am a smoke, do I need to go visit somebody who has emphysema, and lung cancer, and has lost a lung, and coughs all the time? Do I need to actually physically see it in order to get it in my mind? Ron: There’s a marvelous researcher by the name of Miller. He found all that’s needed is a heartfelt interview. And he found that a therapist, a colleague, a coach, a mentor, a spouse can sit down with you and ask you a few questions. Say, ‘What will happen to you two years from today if you nothing changes?’ And you start talking about that. And say, ‘Does that matter to you? Why does that matter to you? What would that get in the way of that you really care about? What would that facilitate happening if you did make the change?’ And so, it’s actually just getting a person to think about it. Sometimes shock treatment helps. My partner’s daughter had juvenile diabetes. When she was sixteen they discovered she had it. And when she was seventeen she quit doing her testing at school because it was such a hassle. And she felt okay. What he did is he took her to a Dialysis Center. He says, ‘Honey, when you don’t manage your diabetes your kidneys fail and I want to meet some of the people who are going through a dialysis’. She spent a day helping the nurses and talking to the people. They never spoke about it again and she never missed another testing. So sometimes you need shock treatment. But for most of us, just talking it through with someone is enough to visit our default future; and that creates pretty strong motivation to say I think I want to make a change. Michael: Okay. And you’ve got a lot of tactics in your book, “Change Anything”. What was the second tactic that you were going to mention that was really useful for personal motivation? Ron: One of the changes we studied who had made this life change. She lost a hundred and thirty pounds, and at the time we interviewed her, kept it off for five years. She thought about where she was going and the things she didn’t like in her life, and she took a 3×5 card and wrote some things down. She knew she couldn’t always stay on the diet she planned for herself. But her crucial moment was, ‘When I’m ever tempted to break my diet, I’m going to pull out this 3×5 card from my purse. I’m going to slowly and thoughtfully read it, and then I can do whatever I want’. On her 3×5 card it said, ‘I want to have enough energy to play with my grandkids’. It said, ‘I want to like the way I look in the mirror’. The third one said, ‘I want my husband to be proud of how I look’. And the fourth is, ‘I want God to be pleased with my choices’. And that’s what was on her card. Now, how this worked for her is: she’s at a restaurant with her friends. They bring the dessert tray around. She goes, ‘Ooh, I really want that chocolate cake, but I made myself a promise’. She pulls out the card. By the time she finishes reading the card, she wants not to have that cake. She loves not eating the dessert. Because she’s reattached to what really matters. Ron: So that’s called a motivational card. It’s just a simple technique to remind ourselves why we’re doing this. And at that moment, to want to wait to get the second marshmallow. Michael: Got it. Okay. So, delaying the wants and desires or interrupting those impulses. Those relate to the personal motivation – the first source of influence. What about the second one, Ron? Ron: The second one is do what you can’t. Michael: So this may be one of those twenty self-help books on dieting, or relationship management, or business management. It’s gathering more skills so you can improve yourself. Ron: Yeah. What’s the difference between me, who does not have a result I desire and those that do? What do they do that I don’t? How can I learn to do that? Yeah, it’s that easy. Michael: It could be as simple as just asking those people what they do to stay fit, or what they do to not smoke again, or what they do to stay off of alcohol. Michael: Okay. Great. So that’s the second. That personal ability. Learning new skills. What’s the third source of influence? Ron: Let me put the third and fourth together because they’re so closely associated. Ron: The third is turn accomplices into friends. The fourth is getting a coach or mentor. And this is social. How do the people in my environment affect my success or failure? We say, literally, you can divide your world into friends, who will help me succeed with the change, and accomplices, who will help me fail. And there are three principles. Number one: distance yourself from accomplices. You don’t need those people in your life. We found for severe drug addiction, they literally had to cut off any contact with former friends. No contact at all. Now, for some changes, that’s too severe of a tactic for your life. You remember AJ, the woman who wanted to quit smoking and went to the smoking tree? Ron: You cut yourself off from accomplices. The second principle is adding friends. Like exercising with a friend. Say, ‘Hey, do you want to jog together?’ Mutual reinforcement; encouragement; accountability. And the third is add friends, distance yourself from accomplices, or convert accomplices into friends. And that’s what AJ did at the smoking tree. These people who influenced her to smoke – she asked them to help her make the change. And they were loyal friends and said, ‘Absolutely. We will’. And so, as you add friends, distance yourself from accomplices, you have the social motivation and ability. Often coach or mentor will help you in the crucial moment; say, ‘You know why that didn’t work?’ And they go, ‘No’. It’s because you didn’t do this. And they go, ‘Oh, yeah. That’s right. Okay. Next time I’m going to that’. Michael: Yeah. And sometimes it’s so easy for your friend or accomplice to see that because they’re on the outside looking in. It’s difficult for us to see that. So that’s a great point. Ron: The single most powerful tactic we observed in people making life changes is convert their spouse into a friend. And the spouse is going to be with you a lot, going to observe you a lot, and going to help you make this change. Or a close friend. Or someone you work with all the time. Someone who’s with you a lot to help you is just a phenomenal addition to a change plan. Michael: Yeah. Great point. Okay. So we talked about social motivation and ability, turning accomplices into friends, distancing yourself from some people that just have bad habits that you just don’t want to continue, and then get new friends – a coach or a positive reinforcement. Michael: So what is the fifth social influence Ron? Ron: The fifth we call reward small successes. Ron: The scientific term is structural motivation. What are the things in my environment that affect my motivation to make the change? We found, as corny as it sounds, that a lot of the people who are successful broke the task into small steps – and that shouldn’t be new to any of us in quality, right? -, they had clear measurable goals for each step, and they rewarded themselves when they accomplished it. Now, the reason that seems so corny is it’s taking money from your left pocket and giving it yourself in the right and saying, ‘Yay! I got ten bucks’. But it was yours all along. Well, it works! We found it works. Ron: One guy who had made a commitment to acquire a new skill set, but it required a lot of study in the evening. And that was a real bummer because he worked hard all day. And so he said, ‘I’ve got to read this text by two weeks. And then this one and this one’. And he rewarded himself by sticking two hundred bucks in a jar every time he accomplished one of the two week steps. Now, his wife agreed with him – you got to do this. His goal was at the end of his change effort, when he had acquired the skill and done all the study, he was going to buy himself a mountain bike. A seventeen hundred dollar mountain bike, which he felt guilty buying because it comes out of the family funds. But the wife says, ‘This will really help you succeed, so yes, do it’. And every time he put two hundred bucks in that jar, he celebrated. He was that much closer to his bike, right? Ron: Well it’s silly, but it works for us! It works for us to reward the steps toward success. Michael: Yeah. Definitely. It’s funny. I think a lot of us do this subconsciously in our day-to-day life and don’t even realize that this is one of multiple ways that our behaviors can change. My son can’t stay in his bed in the evening. So we use a sticker chart on the refrigerator. And every time, in the morning, he comes down and he stayed in his bed all night, he gets a sticker. It’s amazing how he went from four nights coming down and crawling in our bed with us to now he’s up on three weeks in a row staying in his bed. And my daughter is at a certain age. Love her, but she’s got this tendency to always want to argue a little bit. And every time she doesn’t argue with us during the day for nonsensical reasons, she gets a sticker. And the funny thing was, I got this habit. You know your family is always going to love you, regardless of how you act unfortunately. And I’ve got this habit of losing my temper sometimes and raising my voice. And my daughter explained to me that she doesn’t like that. She doesn’t like the behavior. And so she said, ‘Dad, every time you raise your voice and call me Miriam instead of Mia, then you need to take a dollar out of your wallet and put it in this jar over here’. And a dollar really doesn’t have an effect on me, but the funny thing was I did it once and I saw how it felt, and I never did it again. I never raised my voice. And now there’s no jar even on the side table anymore to remind us to do this. I just don’t raise my voice anymore. Because now it’s more of a conscious decision for me not to do that. So I think that structural motivation is really important. And you actually give an example of a negative structural influence in the book as well. Can you talk about that? Ron: Yeah. The examples you gave are so powerful. And we think that’s silly; getting yourself to change with a dollar, but it works. As we were doing research for this, we stumbled upon loss aversion. And there’s a strong argument that says that’s even more motivating than gain. We think, you know, you pay a commission to a salesperson. Say make a sale, you get a thousand bucks and that’s really motivating. It could be that a much stronger motivation is fighting so as not to lose the thousand dollars. And there are several experiments with cite in the book, but let me just tell you one that is a practical example I saw, here, in the workplace. We’re located in Provo, Utah. And there’s a University called Brigham Young University here in Provo and up in Sale Lake is the University of Utah. And, boy, are they awful rivals. Powerful rivals. Especially around football. Well, two colleagues here at work challenged each other to lose weight together. And they set their weekly goals, which were different from each other; but if you failed to accomplish your weekly goal, you have to give the other guy fifty bucks. And he’s already got the envelope mailed out. It’s to the Alumni Association of the school you hate. So, if you failed to get your goal, you give me fifty bucks and send it to University of Utah’s Alumni Association and specify the Football Program. And I’ll tell you, that is such a powerful motivation. I do not want to give that fifty bucks to the University of Utah. And that’s loss aversion. Often we can build in ‘I have to give up something that I don’t want to give up if I fail’ in the step. Michael: Yeah. That’s a great example. Because a lot of time that’s more powerful than anything you might gain from saving, or things like that. Michael: Alright. So let’s talk about the last social influence and then I want to get into a work example. What is the last influence Ron? Ron: The science behind this is structural ability. What we found is the environment has an incredible impact on whether we engage in these vital behaviors or not. And most of us are oblivious to the power of environment. One of these changers that we studied. She said, ‘You know what I realized?’ She said, ‘I’m really, really good in following my diet all day long’. She said, ‘I’m really focused’. She goes, ‘I’ve got energy. I’m accomplishing things at work’. And she goes, ‘I do really well’. She says, ‘Then I go home alone to my apartment. And it’s evening; it’s getting close to bed, but I can’t go to bed yet’. And she says, ‘I get an attack of the munchies’. And she said, ‘That’s when I blew it’. That’s when I eat all this stuff that isn’t good for me – late at night. And she said, ‘That’s what makes it impossible for me to lose weight’. She decided instead of me going on a diet, why don’t I put my house on a diet. I said, ‘What did you mean?’ She said, ‘I have a rule: nothing that violates my diet is allowed in my house. Nothing’. So, ten thirty at night, she’s in her jammies, she gets the munchies, she goes to the fridge; there is no chocolate cake. There is no ice cream. Now, she knows herself well enough that at ten thirty at night she’s not going to change her clothes, get in her car, and drive to convenience store fifteen minutes away. Ron: She’s just going to go without the munchies or eat something healthy. So the structural environment – why not put your house on a diet instead of you being on a diet? Structural environment – what do I surround myself with that affects my ability to keep my plan? And they can range from putting your house on a diet to a reorganizing your routine during the day; so that you actually schedule a time to be at the gym rather than if you get a chance, you’ll drop by. Ron: The basic principle here is making the good things easy and the bad things hard. Michael: So it also could be (Unclear 46:10.2) your work environment so you know where everything is so you can do your job more effectively. Michael: It could be those inspirational quality posters that so many people think are cheesy, but actually drive a behavior. Well, some of them are cheesy, but drive a behavior that we want to employees to think about. Or even those control charts of our process that we put up to say look how we’re doing, or work days since a lost work day event. Those are all physical environment options to help us either don’t do something or think about doing something. Ron: Yeah. Cues, reminders, reinforcement, data stream – what data do I make available to myself? That’s going to drive a lot of my behavior. It’s the stickers on the fridge at your home, right? Michael: Yeah. Alright. So let’s talk about the work environment. Because most of the people watching this show, Ron, they’re going to say, ‘Wow! I really need to change a lot of stuff in my personal life’ that this is going to be useful for. And they’re probably going to get this book, and I recommend it. But let’s talk about a work environment. What’s a good example of somebody who’s in a work environment that wants to change, and how would they go about using these six sources of influence to go about affecting that change? Ron: So, working with Thomas, I identified the crucial moment, which is when someone makes a request that’s going to interfere with your plan. That’s a crucial moment. He doesn’t have to work twenty-four hours a day to make this change. He’s just got to look out for the crucial moments. When someone comes and says, ‘Tom, I got a request for you’. He goes, ‘This is the crucial moment’. For Thomas, the vital behavior was to say, ‘If it’s up here, I’m sorry. I would like to help you. I’m totally scheduled out. I cannot’. Okay? That’s the skill. If it’s a boss, say, ‘I will do whatever you want me to do, but I want you to understand the tradeoffs. If I do this, this is going to slip’. Ron: So it’s a simple dialogue skill, which Thomas did not possess. So, now he knows the vital behavior. He’s got the crucial moments. Now he needs to create a plan and to get the six sources of influence working for him rather than against him. Source one – personal motivation. Love what you hate. How do you love telling someone no? How, in the moment, do you want to tell them no more than you want to tell them yes? Well, Thomas found that as soon as he learned a few simple skills, source two, a few scripts that he could use to respectfully turn someone down, that it worked for him. And when it worked, it wasn’t uncomfortable. They didn’t hate him thereafter. He began to have confidence. ‘I can do this. And when I do, good things will happen.’ So, source one and two were closely united for Thomas. When he learned how to effectively say no, then in fact he was more confident and wanted to use that skill. Michael: So his impulse was to say yes. He identified it as a crucial moment. And then his skill was getting the scripts that he could say in each case to each person so that he wouldn’t have to do that, which was the behavior he wanted. Ron: Yes. And what he was so afraid of is they wouldn’t like him or they wouldn’t respect him. Ron: But when he learned how to do it respectfully, he found it didn’t impact the relationship. In fact, it made him better because they knew when they could count on him. Now, by the way, our training program, Crucial Conversations, or our book, Crucial Conversations; that’s one of the reasons it’s gotten such attention. It’s because it’s a skill set a lot of us don’t have in the workplace to do such things like that. Michael: Yes. And I have read that book also. It’s a fantastic book about having effective conversations. Ron: Good. Thanks, Mike. So, back to Thomas. Source three and four – social motivation; social ability. When Thomas did a social scan of his environment and he said, ‘Who helps me succeed; who helps me not?’, it was very easy to identify the people who pulled him off track. Those were his accomplices. Michael: Those were the same people over and over again, typically? Ron: Yeah. Often his peers and occasionally peers of his boss who had more authority than him, but didn’t report to. Ron: And so, what he began doing is going to those that he had frequent interaction with and say, ‘I’m really focused on this project. It’s of vital importance. If you need me to do something else, go ahead and ask. But if I tell you no, then I want you to go elsewhere. Because I really mean it when I say no and it’s because of this project, not because of our relationship’. Ron: So basically, in our vernacular, he clarified expectations with the people he works with. And he didn’t have to convert anybody. He didn’t have to avoid anybody. He just needed to get really clear with people how this works. Ron: Source five – structural motivation. He identified something that was really interesting. We didn’t think of this, but he did. He said, ‘I need to change where I eat lunch’. We said, ‘What do you mean?’ He usually brought his lunch and ate it at his desk while he worked because he had so much to do, or just skipped lunch. He began carving out forty-five minutes for lunch and going where his coworkers went to eat lunch. He began, consciously, eating lunch with them. Sitting at their table. Talking with them about what’s going on in their life and his. Not only did they better understand some of the issues he was juggling, but they came to care about him and wanting him to be successful because he’s a friend. And he understanding better why they would ask for the things they asked for. And creating that relationship with others happened by a structural change. Where I eat my lunch. And it was amazing how that created relationships that formed a better context for the work environment. Michael: Yeah. See, I thought you were going to say that most of these inquiries came when he was eating lunch and people were just walking by, and they had more free time. And if he found himself in that environment, he could remove himself and go eat lunch some place else and he would less inquiries coming in. Ron: Yeah. And that’s why you be the scientist and the subject. For some, that would be exactly the case. Not for Thomas. Michael: Exactly. Alright. So that’s the structural motivation, and brining in the workers to help out. Any other sources of influence that you found with Thomas? Ron: Source six – structural ability. He began structuring project meetings. Where instead of him running around to find out how people are doing, once a week they come together, report on their progress, report on problems, the need for help, and he holds them accountable. And just a structural change, where we schedule our meetings frequently with those involved with the project did wonders. And you and I; that would be second nature, but Thomas had never thought of it. It never occurred to him. A meeting was seen as time away from work, and he had to work. Well, now think of Thomas. He’s trying to make a very significant change in his life – this managerial style. Right? Ron: What if he tried to make that change without acquiring the new skills? What would you predict for him? Michael: Well, he would be doomed to fail. Over and over again, like he had been. Ron: What if he tried to make that change and learned the skills, but in fact never had those conversations with people? In the crucial moment gave in. Crashed. Yeah? Ron: What you begin seeing is his world was perfectly designed for him to fail. What he needed to do is restructure his world by focusing on the six sources of influence that influenced his failure or success and aligning those. That brings us to the last principle. Now, you’re going to be amazed and bedazzled. Are you ready? Ron: It’s bad days are good data. We find when people believe in the willpower trap and they fail, they tell themselves a story. ‘I’m weak. I’ll never succeed.’ People who use this approach – ‘When I fail, I go ha! This is an opportunity to learn something about myself. Why did I fail in that moment? What did I miss? Why didn’t I succeed?’ And they analyze it and adjust their plan to include that situation going forward. The problem isn’t they lack willpower. The problem is their plan was insufficient. And so, bad days are good data. Damn! I wish I hadn’t had that dessert. Why did I do that? Why did I do that this time? Instead of ‘I give up; I’ll never succeed; let me binge’, I said, ‘I think I didn’t decide in advance. I waited till the moment to decide to have dessert or not. From now on, whenever I was in a restaurant, I will not have dessert. That’s my decision’. So, that’s an example. Michael: Alright. But in one of the cases, actually in the work example of the book, Ron, you talk about the fact that he identified three vital behaviors that top performers within any business exhibit. They know their stuff. They can execute the job better than anybody else. They know the Tax Law. They know the Financial Law. They know their stuff. And they focus on the right stuff. They do the things that are expected of them in order to rise up the ranks, or be fully satisfactory in their job, or be excellent in their job. But the third thing you identified was build a reputation for being helpful. Now, what would you recommend to Thomas in that case, where he had a reputation for being helpful, but it caused him to do behaviors that his boss didn’t like? How do you reconcile the fact that in order for us to be thought of us vital to the business that we need to build a reputation for being helpful? You volunteered to come on the show when I asked you to. You’re being helpful, and you’re showing that you’re an industry thought leader on the topic. But what if you just decided that was going to take up too much time and you just didn’t have time to do that? Ron: That’s a great question. As we studied people who had been very, very successful in their place of business as defined by those who worked with them, and compared them with those who weren’t, it really became clear those were the three big differentiators. On build a reputation for being helpful; like most things in life, it’s a balancing act. Right? So it beings with you knowing your boundaries, which Thomas was never able to define. Okay? I’ve got X amount to do and it’s going to take Y amount of time. I need a plan to do that. Okay? Now, with that clearly in mind, I’m in a better position to evaluate trade-offs. So, seeing as being helpful, I know that I’ve got some slack, and it’s this much. And when people make a request, I evaluate that with a tendency to help. My tendency is to help them out. Now, it’s because I want the organization to succeed, I want them to succeed. But there’s some political advantage to me being helpful to others and being seen as an expert. So, manage the parameters. Manage my time. Know if I say yes to this, what am I saying no to. The second thing is taking initiative. And this is where most of us trip up. Taking initiative. For me to be thinking about Sarah and her team, and to approach Sarah and say, ‘Sarah, I was thinking about the problems you were wrestling with and I have an idea that might be of help’. Or, ‘Sarah, I was thinking about problems you’re dealing with. One of my people; they just finished up on something. If I loan them to you, would that help you?’ So I’m anticipating others needs, and anticipating others problems, and I take initiative. And often it isn’t with giving you a whole love time of mine, which is scarce, but giving you ideas; suggestions; strategies. When we leave that encounter, you say, ‘Wow! That was so nice of Ron to come help me with that idea. That was so nice of Ron to be thoughtful of me. And now I see Ron as someone who’s really helpful’. Now, when decisions come about promotions, and teams, and advacement and all that, you look around and say, ‘Who makes a difference?’ The people who are helpful; they make a real difference. And so that gives you brownie points, but even more important, you are making a difference and people value results. Michael: Yeah. Fantastic points. Alright. Let me give the audience a quick breakdown, since I have it so nicely in my outline here. We need to study ourselves. We need to identify our crucial moments when we’re susceptible to those failure moments that we so often don’t want. We need to create the vital behaviors by engaging in all six sources of influence, including the personal motivation, the learning new skills, the eliminating the bad social pressures and implementing good social pressures, like getting a coach or a friend on your side. Linking real rewards or punishments for the habits and getting those visual cues to focus on our goals or getting things out of our house, for example. There’s a lot more if you go and you get this book, Change Anything. The web address is ChangeAnythingBook.com. I’m selling it like I’m getting a commission here, Ron, but I’m doing it because it’s a really good book. I appreciate all the stories and examples in here. And I appreciate the work that you’ve put in here with me to make this interview as solid as I know the audience is going to find it. Ron: Well, thank you very much Mike. And I just love working with you and your passion for the subject. And I would just reinforce what you’re doing; what a difference it makes. Quality included quality of life. And when we’re trying to improve quality, we’re improving quality of life. Meaning and purpose are such an important part of that. And everything that your listeners have learned about quality in the workplace applies to improving quality of life; including analyzing our processes and actions. And so, I think this will fit really well with where you all are and where you’re trying to go. Michael: Yeah. So, guys, go get the book. Use the book. Then come back and let me know what changes you’re making. Go to ChangeAnythingBook.com. Learn more. Watch the videos. you can get more informed about this. If you have a follow-up question for Ron, please post it in the comments below this video. And then when we have a few question, I’ll ask Ron to come back and answer as many as he can. This is the point in the show, Ron, where I also urge the audience if you receive value out of this interview, and I know that I did, please take a moment and say thank you. It’s as easy as posting a comment below the show saying, ‘Love the topic. Love the tactics. I’m going to get check it out, or I’m going to go implement something I heard in the show’. Sending a tweet on Twitter. Ron’s company handle is VitalSmartsNews. Or posting on Facebook.com at VitalSmarts. Please take a minute to do so. I’m going to say thank you again by mentioning VitalSmarts website at VitalSmarts.com. Change Anything book at ChangeAnythingBook.com. And on the site, you’ll find some terrific case studies and research. Ron McMillan, Co-Founder of VitalSmarts. Thank you for coming on the iSixSigma show, sharing your knowledge, and helping others become more successful change agents and business leaders. Ron: Thank you, Mike. Thanks everyone. This was a really useful interview. Very well done! is shift attention the same as sublimation? Thank you! That was excellent!!! Change Anything is now at the top of my reading list. Great job with this video! thanks to both of you ( Micheal and Ron ) . Actually I was searching a good school for green belt . but most fortunate that I could got your site and and this video. Now I have dececide to read change anything. please upload more such videos. I wish to see such video at site. I is really good to listen Ron and especially the way he explaned his book . thank you it will make a difference in my life.